The year of the Auburn wedding continues. 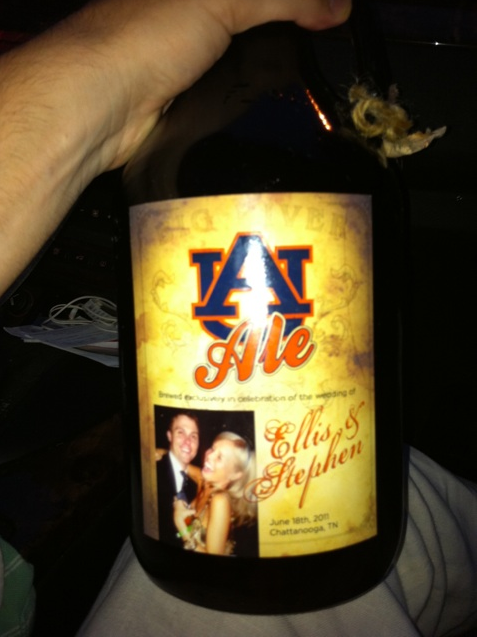 A pair of orange and blue lovebirds named Ellis and Stephen appear to have procured a custom-brewed “Auburn Ale” as—we’re assuming—gifts for members of their wedding party. Sure, the newlyweds risk starting their new life together with a lawsuit. But at least we can finally wash down all those grooms cakes with thematic consistency. Congrats! “thematic consistency”….you don’t get stuff like that from just any ‘ol Auburn blog.